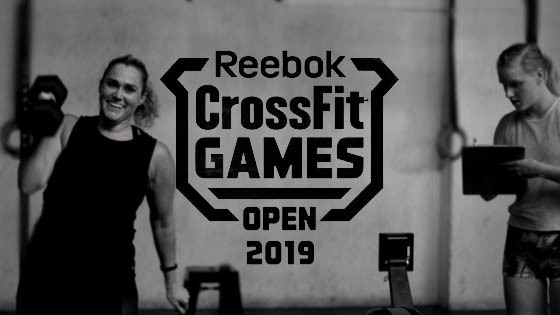 Official dates for the 2019 CrossFit Games Open are now known and have been posted on the CrossFit Games website. The online competition will start Friday, February 22nd and will once again span five weeks, concluding on Tuesday, March 26th. Athletes will have four days to complete the workout(s), and submit their score. We will be running the open at The Ox Box on Saturdays as per normal. With time slots that can be booked via WODIFY. We realise there are hot ticketed times, we respectfully ask that members reframe from asking us to reserve times for them. It’s not particularly fair to fellow members or us to manage who should and shouldn’t get these slots. If you are unable to attend the Saturday session, your only other option this year will be Monday Night Open gym. Open Gym Friday Night will be temporarily cancelled until the Open have finished. We will be using that time to set up the class for the following day. We will be in search of Judges! If you are interested in judging and supporting you fellow members, let us know! We are always in need of extra eyeballs. Bellow is the link to the Judges course, check it out! The Open is comprised of five workouts over five weeks, and it starts with 19.1. The workouts will be released every Friday during the five weeks of the Open, and you can watch the live announcement of the workout that will be streamed on the CrossFit Games website. After the workout is released, any athlete who has registered for the Open will have until 5 p.m. PT on the following Tuesday to submit their best score online. While I can understand the sentiment of “Why bother?” but IT IS AWESOME. Every affiliate in the world can take part in the Open, which is amazing, and we don’t want you all to miss out on the fun! We can use you performance data to determine how and why the programming should change for the coming year. For instance, if the majority of the gym can’t do chest-to-bar pull-ups relative to every other gym in the region, then the trainers can work on bringing up that skill in the gym’s population. We suggest registering before the first event!